"Dennis Dinneen, a publican and photographer in Macroom, County Cork, Ireland from the 1950s through the 1970s, captured everything from passport images to weddings and communions. In Small Town Portraits, Dinneen’s regulars and town locals stand out against a stark backdrop in the makeshift studio in the back of his shotgun bar. These intimate portraits, reminiscent of Mike Disfarmer and Diane Arbus, show a glimpse into the strangeness and excitement Dinneen found in the routines of small town daily life. 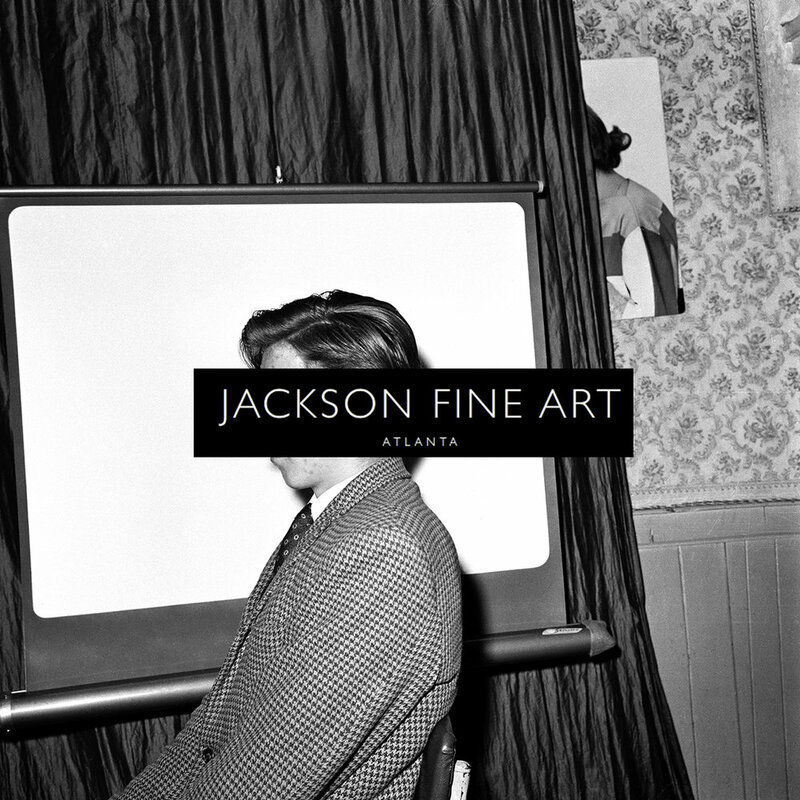 Jackson Fine Art is thrilled to present Dinneen's first U.S. exhibition." "The details in Dinneen’s uncropped photographs lend them an almost melancholic resonance and make you wonder if his little visual jokes were accidental or intended. (In a self-portrait, he has cropped an advert for Ilford films so that the double D initials of his name are visible preceding the words “film” and “printing”.) It is the faces, though, that fascinate: the stoicism of a young girl in a woollen cardigan; the defiant gaze of a woman flanked by her solemn parents; the wild glint in the eye of the man cradling a baby, a sticking plaster on his forehead." "Dinneen had a sense of humour, and the photographs are sometimes strange to the point of surrealism, as with a study of a man elaborately attired as a Wild West gunslinger (a fancy dress party or just a midlife fantasy? ), or three linked compadres with a laddish swagger, the central figure’s shirt unbuttoned, leaving his torso incongruously bared to the waist, or a poised, costumed young Irish dancer with a disconcertingly mature countenance, or a devoutly kneeling altar boy whose legs seem to magically disappear, leaving him hovering above the floor." The Douglas Hyde Gallery is delighted to announce a forthcoming exhibition of works from the as yet largely unseen archive of photographer Dennis Dinneen (1927 - 1985). The Cork publican ran a portrait studio in the back room of his bar, documenting daily life there and further afield. His eccentric perspective, at once familiar and offbeat, made for striking portraits and scenes that transcend the everyday. 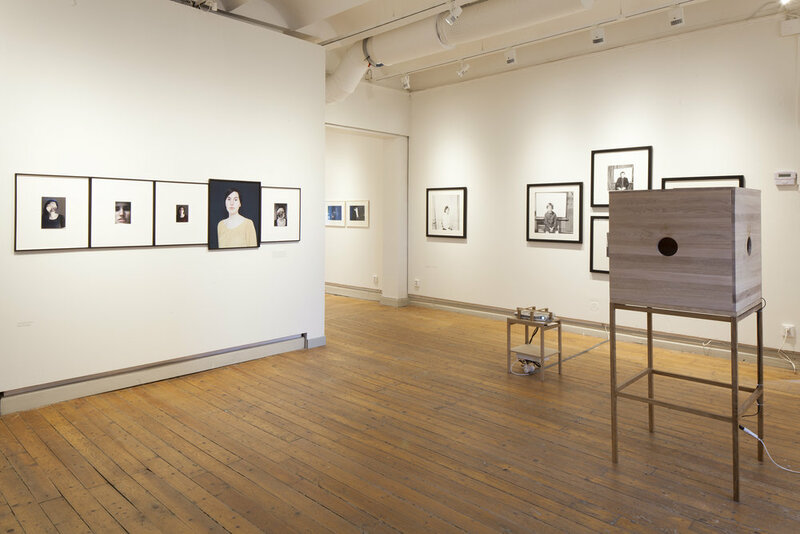 Work by Dennis Dinneen will be shown as part of 'View Ireland' at Landskrona Museum, Sweden. 30 June – 25 September 2016. 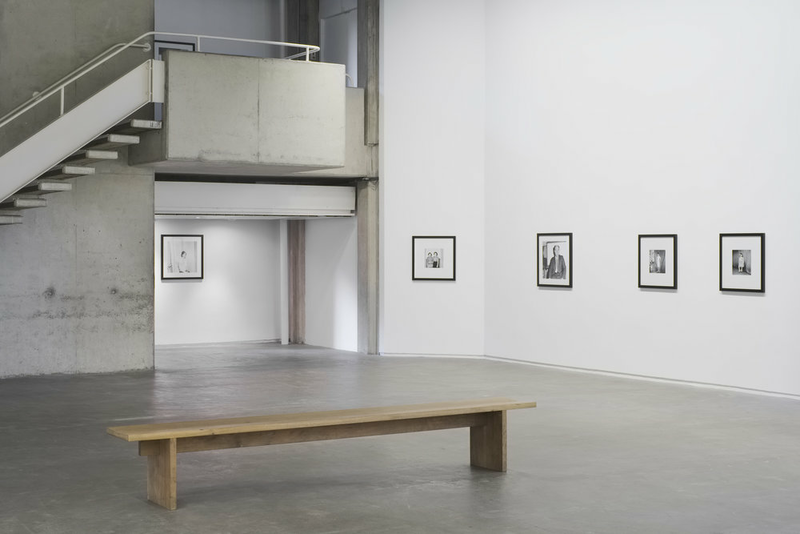 The exhibition also presents works by: Mary Countess of Rosse, Lady Louisa Tenison, Paul Seawright, Anthony Haughey, Trish Morrissey, Eamonn Doyle, Grace Weir, Laurence McKeown, Arthur Fields, Patrick Hogan Broomberg & Chanarin, Bertien van Manen and more. The exhibition is being produced in collaboration with PhotoIreland, Belfast Exposed, Gallery of Photography Ireland and Culture Ireland. Dennis Dinneen has been included in the January 2016 'Cool and Noteworthy' edition of The British Journal of Photography. 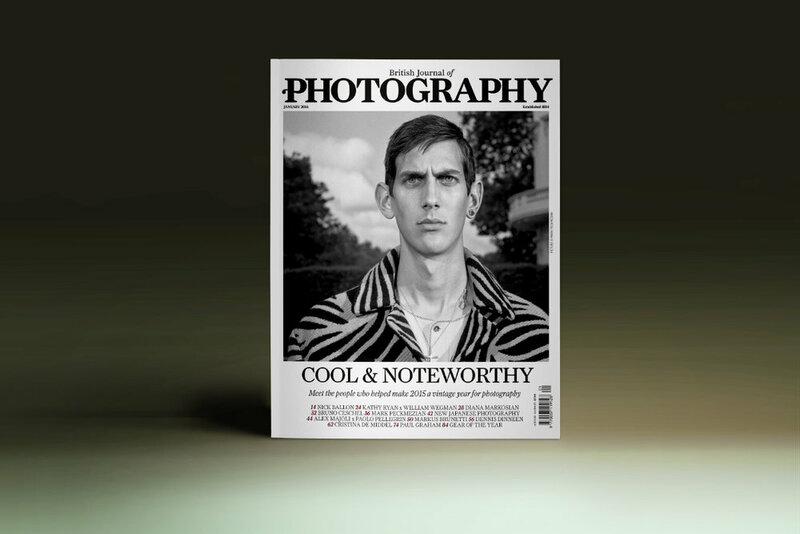 "With features on more than 20 of the best photography projects of the last year, Cool & Noteworthy looks at the photography practitioners, festivals, exhibitions and publishers that have pushed at the medium of photography in this momentous year of the viral image. " Small Town Portraits, an exhibition of photographic portraits by the late Dennis Dinneen opens on the 16th April at 6pm and runs until 27th June 2015 in the Boole Library, UCC, Cork. The exhibition is curated by David J Moore and has been made possible with the help of Crónán Ó Doibhlin at UCC Library, University College Cork.